No one likes driving in the snow; it’s stressful, dangerous, and time-consuming. But, some drivers mind it less than others, and those drivers are the ones behind the wheel of one of these winter-ready and snow-competent vehicles. This crossover is ready for just about any weather the season throws its way. The Honda CR-V features stable suspension, a capable powertrain, and precise responsiveness, all of which will come in handy when the snow piles up. Redesigned in 2018, the Chevy Equinox feels like it was bred for driving in the snow. 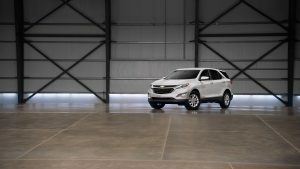 The new Equinox features optional all-wheel drive and two turbocharged four-cylinder engines, so you’ll have the capability and power to blast through any level of snowfall. Plus, as an added bonus, the Equinox features Remote Start, so you can get the motor running and heat pumping before you enter the vehicle. It’s no secret that all Subaru vehicles come with standard All-Wheel Drive. This alone boosts every Subaru model’s ability to drive in the snow. Additionally, Subaru designed its vehicles with activity in mind. This means the vehicles generally boast better clearance and handling systems, which are essential for navigating snowy terrains. You can find a wide selection of pre-owned vehicles at Sharon Chevrolet that are great for driving through the snowy roads of Liverpool, New York.